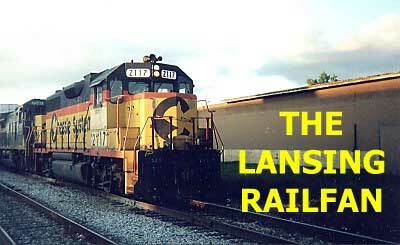 Welcome to The Lansing Railfan Home Page! Lansing, Michigan, located in the heart of the state, is a railfan's delight! The city is served by three Class 1 railroads -- CSX, CN, and NS -- as well as seeing regular runthroughs of CP/Soo Line trains (on CSX trackage) and BNSF & UP/SP power on CN trains (especially coal unit trains). In addition, East Lansing is also home to an Amtrak station, as "The Blue Water" makes daily visits. Also in East Lansing is Trowbridge Diamond where the CN and CSX cross each other. The diamond is easily accessible -- just off I-496 on Trowbridge Rd. 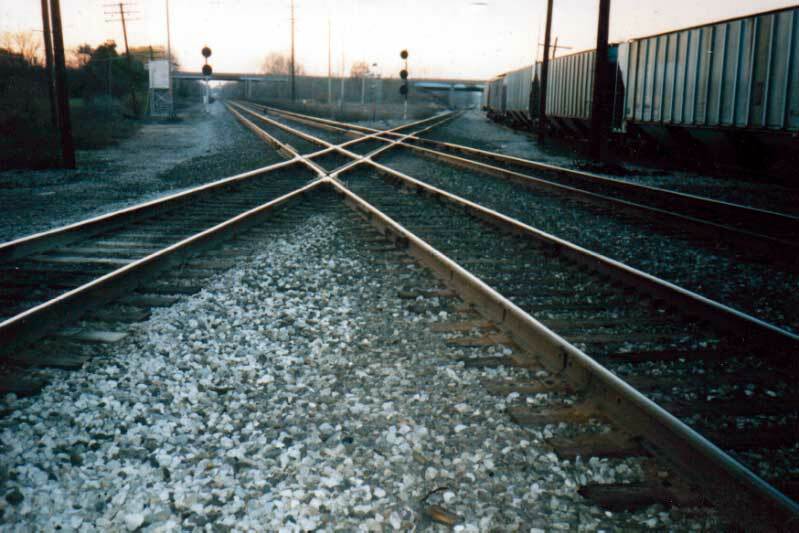 Shown above is how the diamond looked in 1994; the transfer track on the right has since been removed. Face-lifting is continuing. New photos now on the New York Central page, with more coming there as well as on other pages as I get them coded. Click on these buttons to see your favorite railroad's engines. Click on these buttons to see pictures from a certain month. Bookmark this page and come back often! I'll be adding things as time allows! Comments? To send me email, please click on my name.